The Audio CD of The New York City Encores! 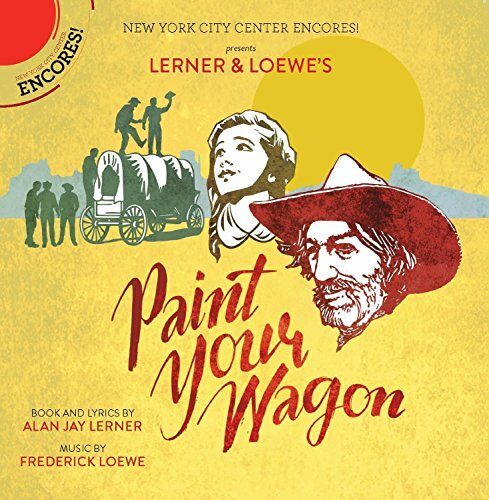 revival of PAINT YOUR WAGON, set during the California Gold Rush, captures the vitality and evocative spirit of the classic Lerner & Lowe melodic score. Led by Keith Carradine and featuring Justin Guarini, the splendid cast (as well as the magnificent orchestra) breathe new life into such musicall theatre standards as "They Call the Wind Maria," "I Talk to the Trees," "Wand'rin' Star," "I'm on My Way," and all of the twenty-eight selections, plus a bonus track of "What Do Other Folks Do". Indeed, this Audio CD of the critically acclaimed revival stands as the most complete recording of the show. The booklet has photos and notes about the show and the Encores! series.